Use hair shows to market your hair products for remy hair. Hair shows are becoming a great way for distributors to get their quality hair care products into the hands of their customers. 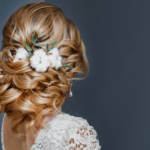 Although hair conventions and other meetings have been the norm since the birth of cosmetology, these glitzy, full service versions have only recently become popular. Many aspiring product manufacturers or distributors have made names for themselves by attending and marketing their hair care products for remy hair in the heart of the hair world, the hair show. If you are looking to market your brand of wig care products, sulfate free shampoo and conditioners or other quality hair care, there are a few large hair shows you should consider for your marketing plan. This beauty expo occurs every February in Las Vegas. Since its inception in 1998, this show has become one of the top beauty and hair shows in the United States. Attendees can watch seminars and visit a wide variety of vendors. Beauty Expo USA focuses on the latest trends and innovations, which is perfect for aspiring distributors of hair products for remy hair. Held at the Rio Hotel Convention Center, this expo is a great choice for anyone looking to get their foot in the door of the quality hair care world. This melting pot of vendors and buyers takes place in beautiful downtown Chicago every March. Many of the latest innovations in quality hair care, such as sulfate free shampoo and conditioners, were seen first at the demonstrations during America’s Beauty Show. Along with vendor booths, the show also offers a large number of exhibitions for hair, makeup and style. This show presents a golden opportunity for anyone looking to get their brand noticed, especially new and innovative distributors. Every February in Atlanta, this show becomes the mecca for stylists, vendors and patrons interested in African-American hair trends. This event continues to grow from year to year and has far surpassed its beginnings to become a large and extremely popular show. In fact, many of its attendees have no stake in hairstyling and beauty but want to be a part of the revelry and beauty of this event. New and existing distributors of extension and wig care products can join hundreds of other vendors to provide hands on demonstrations at this incredible yearly event. If you are looking to become a distributor in the quality hair care industry and want to join the thousands of vendors at one of these fantastic hair shows, contact us. 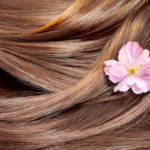 Our hair products for remy hair are a fantastic addition to your collection of hair and wig care products.